Today in Tech News Digest, the highlights from E3 2014, Facebook teases Slingshot, Moto X sells out, Doodle 4 Google winner revealed, Netflix stops ISP shaming, OneNote Clipper for Chrome, and George R.R. Martin joins Twitter. 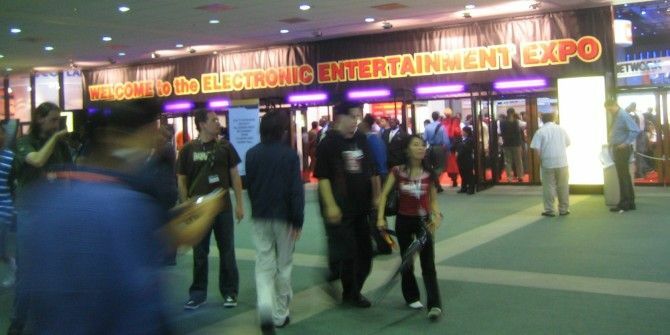 E3 2014 (the Electronic Entertainment Expo) kicked off in Los Angeles on Monday (June 9). Several publishers held press conferences to detail their forthcoming games, with Battlefield Hardline, Mirror’s Edge 2, Far Cry 4, Rainbow Six Siege, Just Dance Now, and a new Mass Effect title all teased for future release. However, the biggest events came from Sony and Microsoft, which both held extensive events designed to please their respective fans. Last year’s E3 2013 saw the unveiling of both the PlayStation 4 Sony PlayStation 4 Review And Giveaway Sony PlayStation 4 Review And Giveaway Ladies and gentlemen, the next generation of video game consoles is here, with the Sony PlayStation 4! Read More and Xbox One Microsoft Xbox One Review And Giveaway Microsoft Xbox One Review And Giveaway The console wars are officially raging, and we've had sufficient time with both of them. That begs the question: how does the Xbox One compare? Read More , but this year’s event is all about the games. Sony focused mainly on games, including Destiny, Little Big Planet 3, Magicka 2, Dead Island 2, a remake of PC classic Grim Fandango, and remastered versions of The Last Of Us and GTA V. The press event ended with a teaser for Uncharted 4 from Naughty Dog. However, Sony also talked hardware and features, including a PS4 Destiny bundle, demos for its Project Morpheus VR headset, an open beta for PlayStation Now, a dedicated YouTube app for PS4, and PlayStation TV, which, for $99, allows PlayStation 4 owners to play their games in another room. Microsoft focused entirely on games, including Halo: The Master Chief Collection, Phantom Dust, D4: Dark Dreams Don’t Die, Fable Legends, Forza Horizon 2, Sunset Overdrive, a new version of Crackdown, Rise of the Tomb Raider, and open-world game-maker Project Spark. E3 2014 continues until Thursday (June 12) but the first day is always the crucial one to watch. Nintendo isn’t attending E3 2014, but is due to host a digital event later today (June 10). With Nintendo in trouble thanks to the failure of the Wii U Nintendo Wii U Review and Giveaway Nintendo Wii U Review and Giveaway Despite the increasing shift to mobile gaming, consoles are still very popular devices for playing immersive, graphics-intensive games; and that won’t change anytime soon as long as the major console makers continue to improve with... Read More , Mario The Origins & History Of Mario [Geek History Lessons] The Origins & History Of Mario [Geek History Lessons] An Italian plumber created by a Japanese artist somehow became one of the most recognizable characters on earth. Featured in over 100 games, it's hard to imagine Nintendo or even video games without this mustachioed... Read More is guaranteed to make an appearance. “Oops” – Someone at Facebook PR re: Slingshot, probably this morning over donuts. 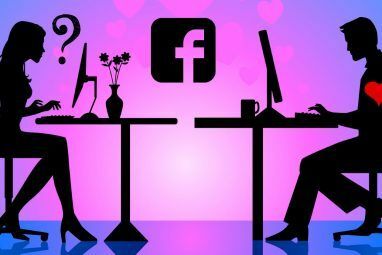 Facebook has accidentally revealed Slingshot, its Snapchat Send Self-Destructing Risqué Photos & Videos With Snapchat [iOS & Android] Send Self-Destructing Risqué Photos & Videos With Snapchat [iOS & Android] So you want to text someone a private flirty or goofy photo or video of yourself, but you know that images and videos can be shared and circulated on the Internet very quickly. Well it... Read More competitor. Slingshot allows users to share photos and videos with other people, with the gimmick being that both parties need to share something for the content to be viewed. Slingshot isn’t currently available to download, but for a time it was available in some territories. A spokesperson claimed Facebook “accidentally released a version of Slingshot, a new app we’re working on. With Slingshot, you’ll be able to share everyday moments with lots of people at once. It’ll be ready soon and we’re excited for you to try it out.” Accidental or planned PR? You decide. Most of the people hoping to take advantage of Motorola’s ‘Try Then Buy’ offer for the Moto X were left bitterly disappointed yesterday, as the promotion sold out within hours. The promotional effort saw Motorola giving potential customers a Moto X How To Get The Best Moto X Features On Your Android Device Today How To Get The Best Moto X Features On Your Android Device Today The Moto X boasts several features you won't find on other Android devices at the moment. The first of these is the Active Notifications feature, which lights up the screen with the latest notification. Another... Read More to try for two weeks for just a penny, with the remaining balance charged if they then decided to keep it. We were going to feature this promotion in yesterday’s Tech News Digest, but all units had been claimed by the time of publication. We can only hope Motorola repeats the promotion due to overwhelming demand. The winner of the 2014 Doodle 4 Google contest has been announced, with 11-year-old Audrey Zhang from New York being awarded a $30,000 college scholarship for her effort. Zhang’s doodle of a futuristic water purifying device was chosen from over 100,000 entries. Now, we just need Google to turn her invention from a concept into a reality. These messages started a war of words with U.S. ISPs Netflix At War With ISPs, 3D Amazon Smartphone, Tinder Selfies [Tech News Digest] Netflix At War With ISPs, 3D Amazon Smartphone, Tinder Selfies [Tech News Digest] Netflix battles ISPs, Amazon teases 3D smartphone, Xbox One comes to PC, Tinder mimics Snapchat, GOG launches GOG Galaxy, Yahoo upsets Flickr users, and how to break up with someone using Internet memes. 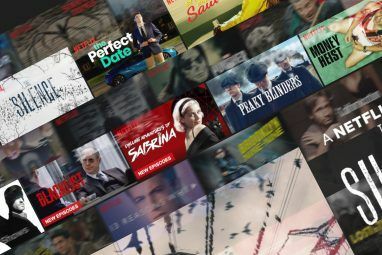 Read More which resulted in Verizon sending a cease and desist letter warning Netflix to stop bad mouthing the company. In the meantime, Netflix continues to pay Verizon and Comcast for preferential treatment on their networks. 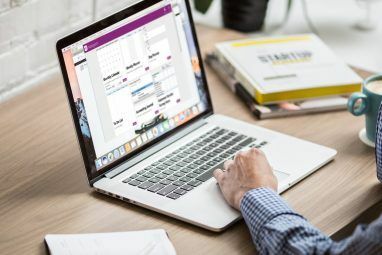 Microsoft has released OneNote Clipper for Chrome Save Your Web Favorites As Notes With OneNote Clipper For Chrome Save Your Web Favorites As Notes With OneNote Clipper For Chrome Microsoft has released OneNote Clipper for Chrome. OneNote Clipper easily allows you to save anything from the Web to OneNote with a click. Save your web favorites easily. Read More , with this dedicated Chrome extension replacing the previous bookmarklet. OneNote Clipper for Chrome allows OneNote users to save anything from the Web in just one click. Extensions for other browsers are expected to follow. And finally, Game Of Thrones author George R.R. Martin has joined Twitter. Unfortunately, it doesn’t look as though he’ll be tweeting much, as he merely used the opportunity to promote his LiveJournal blog. Which we didn’t even know was still a thing, if we’re being totally honest. Winter is coming, but more tweets from Martin appear to be less likely. Explore more about: Facebook, Google Chrome, Google Search, Microsoft OneNote, Netflix, Twitter.